Volunteers were not needed Friday morning at the nursing home so instead Cross-Cultural Solutions (CCS) arranged another volunteer opportunity for the day. 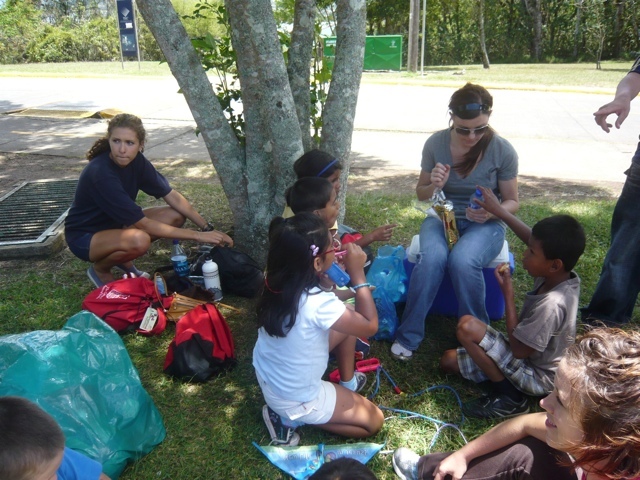 CCS works with a variety of different non-profits in Cartago and places their volunteers on an as-needed basis. 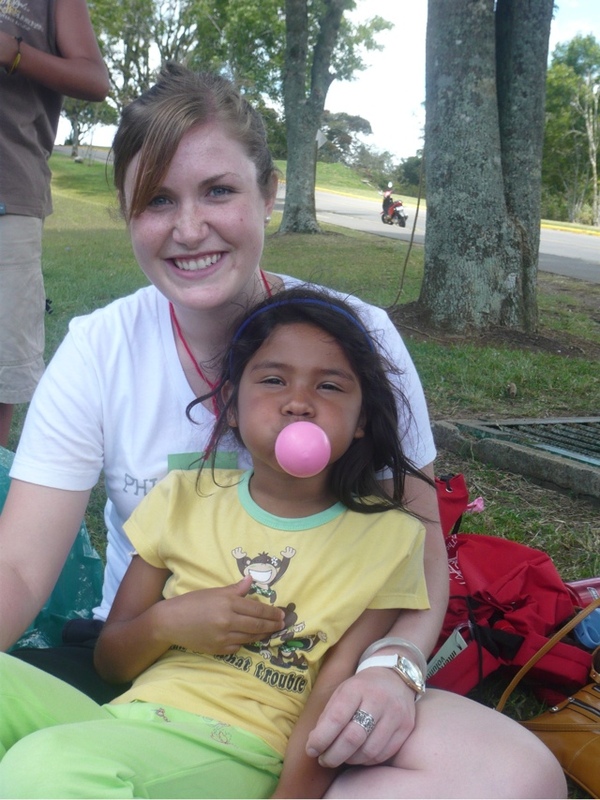 When you sign up on a CCS volunteer program, you do not find out exactly what your assignment will be until two to three weeks before departure. You have an idea of what it may entail. Normally CCS volunteers work in nursing homes, hospitals, orphanages, centers for disabled children or adults, or teaching English. Thus, when you sign up to volunteer you know it will be one of the above programs. The in-country home base typically evaluates the needs in the community and at each agency to see what the best fit is for the available volunteers. 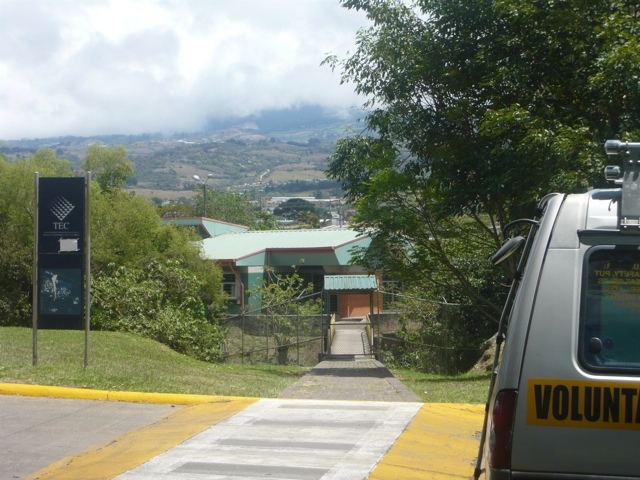 For our week-long program, the nursing home was the best match for the given amount of time and number of volunteers. However, Friday we were not needed thus Santi and Jose found another, exciting opportunity for us: Taking the 35 foster children of Dona Melba’s foster home to the park. Dona Melba and her husband were well-known throughout Cartago as a wonderful, caring couple who had established a foster home for unwanted, abandoned and abused children over 25 years ago. Their family began slowly, taking in a few children here and there who needed homes and over time grew into a large, close-knit family of adopted and foster children all under one roof. 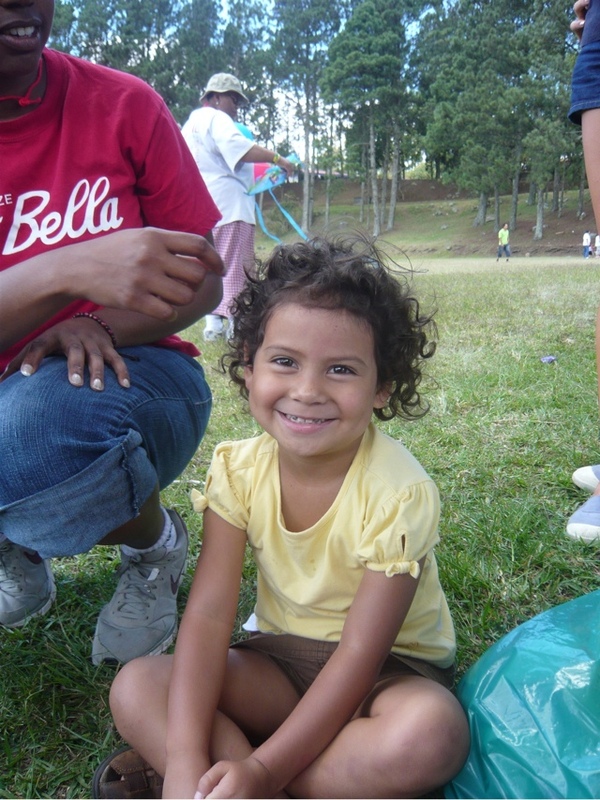 We had received an update from another volunteer named Julia who was an early high school graduate from St. Louis, Missouri spending three months in Cartago volunteering with Dona Melba’s children. It was a chaotic household with children of all ages and varying degrees of emotional and mental stability living in a small house and being cared for by only Dona Melba and her husband. Occasionally, they would receive local volunteers and ones from other international organizations but most of the time they and their 35 children were on their own. You can imagine the work involved in caring for such a large household. Laundry was done all day long in a large room with piles of washed and folder clothing assorted by age (this was the easiest way for children to find clothing. No one had their own clothing. Everything was shared). Cleaning and work around the house was taken care of by the older children in the family. Cooking was also a shared job by the older children which took hours. Having two young children of my own, I couldn’t even fathom how much work 35 kids would be! I asked Julia tons of questions on our ride to the home. Over the last three months working with the children, she had become extremely attached and was very concerned about leaving them soon. She knew the ins and outs of each child and told us some of the most devastating, tragic stories of their young lives before they were saved by Dona Melba. One boy, Alain, had an alcoholic mother who never fed him as an infant and abandoned him barely alive at Dona Melba’s doorstep. There was not even a note. Obviously, he was in poor health and was seriously malnourished which had lead to brain damage. At age eleven, he cannot talk, cannot eat unassisted and struggles with his motor skills such as walking and catching a ball. I spent some time hanging out with him at the park and he was a lovely child who was fascinated by tearing off weeds and throwing them into the creek and watching them float away. He would smile, frantically jump up and down and grunt in pleasure. It was heartbreaking but at least I knew he was loved and cared for with Dona Melba. Another girl was named Anita who had also been abandoned in a terrible state. Dona Melba found her completely battered up. In a rage, her parents beat her up at two years of age and hurt her so badly that they broke both of her legs. She was rescued by Dona Melba and would not speak or smile for years. 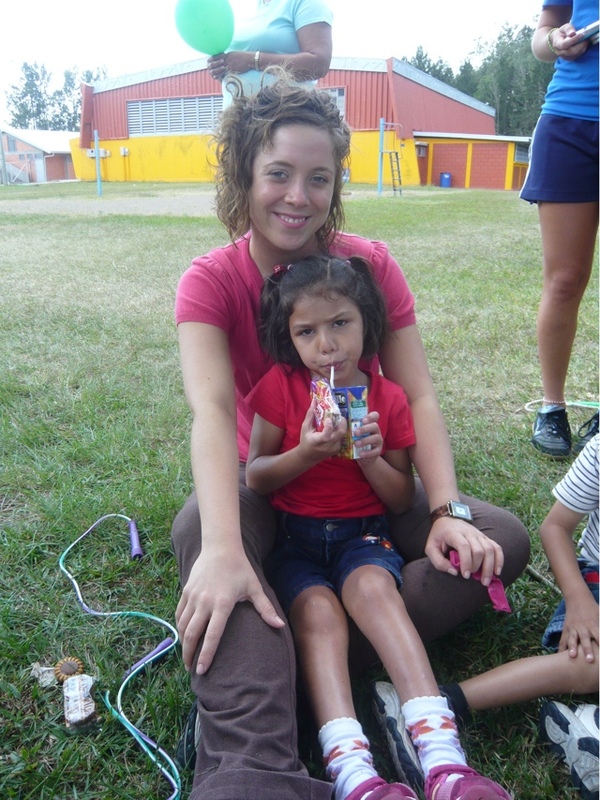 A year ago, a CCS volunteer from New York worked with Anita and felt compelled to do something about her terrible situation. Fortunately, her father had connections with a surgeon in NYC and they were able to raise enough money to fly Anita and Dona Melba to New York for surgery that enabled her to finally walk! Although she isn’t perfect on her feet, at least this special little six year old girl can finally get off her hands and knees crawling and walk and play like the others! It was quite a story and brought tears to my eyes. Then there was Cesar, another disabled child, who was in his teens but was mentally about the age of four or five. He loved playing ball with the volunteers and loved the special attention. To think that this child was abandoned and mistreated just because he wasn’t perfect made me sick. It made me realize that we are all humans. The morning at the park was delightful. We played ball, chased balloons, ran after the children and enjoyed their imagination and laughter. It was a special day. In light of the horrendous stories and tragic backgrounds, these children had hope. The love and care that they received from Dona Melba, her husband and the endless amount of volunteers flowing in, lead me to believe in the resilience and hope of the human spirit. Heart wrenching and uplifting at the same time. There are people out there with so much love to give. I especially like the photo of the first little girl.